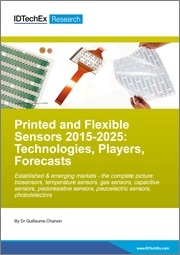 Large investments have been made to enable flexible, thin sensors rather than rigid sensors. $75 million was recently awarded by the US Department of Defense to establish a new Manufacturing Innovation Institute (MII) for flexible hybrid electronics in San Jose, California. Under the acronym FHE MII, this new entity will follow a hub and node approach managed by the FlexTech Alliance. According to the news release, the federal funding will be complemented by $96 million from non-federal sources, including the City of San Jose, private companies, universities, several U.S. states, and not-for-profit organizations. In total $171 million will be invested over a five year period, giving a significant boost for flexible electronics. Meanwhile in France a startup company called Isorg is building a new production line to print flexible sensors. Construction of the 3,000 square meter facility started last June and will cost a total of €20 million ($22 million). Once completed, the production line will be the first of its kind to manufacture optical sensors on plastic. Isorg has developed the technology to make organic photodetectors (OPD). Unlike conventional silicon-based photodetectors, they use organic semiconductors to absorb light and generate an electrical current. While organic light-emitting diodes (OLED) have already become mainstream on our smartphone displays, the OPD is relatively unknown and does not even have its own entry on Wikipedia. What makes an OPD so unique is the fact it can be printed directly over large areas. What's more, the materials are inherently flexible, enabling much more design freedom in terms of size and form factor. 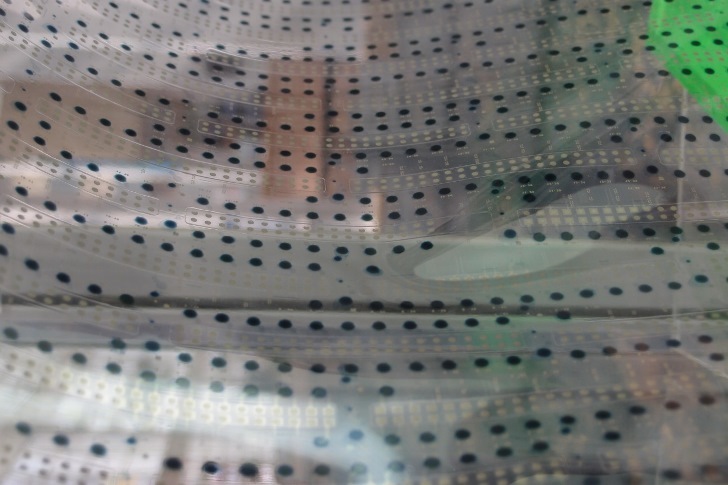 However, printing an electronic sensor is very different from printing a newspaper as it involves multiple layers of specialized inks at carefully controlled thicknesses. The requirements are so high that a conventional print house does not have the right equipment for the job. Isorg has been operating within the facilities of CEA Tech, a R&D organisation in Grenoble well known for its innovations in the semiconductor industry. 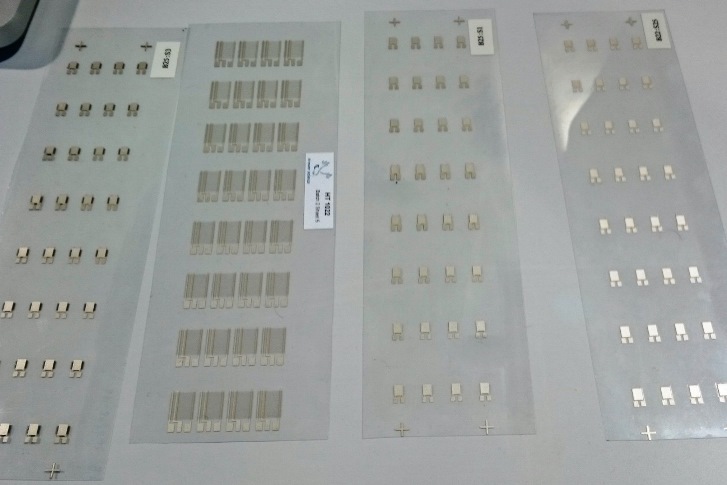 When IDTechEx visited the company last year, as part of the research for the report Printed and Flexible Sensors 2015-2025: Technologies, Players, Forecasts, Isorg showed IDTechEx a pilot fabrication line they had used to refine the manufacturing process. Based on custom made equipment, the printer could automatically load plastic sheets, adjust alignment and deposit the inks with high accuracy. Crucially, the sheets did not have to be first laminated on a glass carrier (an approach currently used to make flexible OLED displays). When the new production line becomes operational in 2017, it will handle sheets of 600 x 600 mm, about three times the area processed in the existing pilot line. This could be a significant milestone in the industry because you can now easily imagine the very same equipment printing not just photodetectors but all kinds of other sensors. So far, the sensors printed on a mass scale have been the ones with fairly simple structures, such as the disposable glucose test strips used by diabetics. These test strips consist of a set of printed electrodes covered with reagents to induce an electrochemical reaction with glucose. A factory producing billions of these sensors every year would not be suitable for manufacturing Isorg's photodetectors with decent performances. On the other hand, the new equipment should be compatible with other materials, from heat sensitive polymers to quantum dots. In the US, the newly established FHE MII has the potential to generate a lot of innovation in this field. The FHE MII will bring together 96 companies, 11 laboratories and non-profits, 43 universities, and 15 state and regional organizations. One of the consortium members, Brewer Science has already extensive experience in nanomaterials formulated for sensors. Earlier this year, they demonstrated several prototypes of temperature, humidity and gas sensors. All printed on plastic films. Another important aspect of the FHE MII is its emphasis on hybrid systems. In this context, "hybrid" indicates that some of the functions will still rely on conventional components. This is a wise approach as it will speed up product design and commercialization. In the early days of printed and flexible electronics, many in the industry tried to avoid the use of any silicon integrated circuit (IC). But this "everything printed" approach limited performances and, by extension, the range of applications. The truth is that when it comes to signal processing, it is hard to beat silicon. Under the hybrid approach, silicon ICs will be thinned down, repackaged and integrated on the flexible substrate. For example, you could imagine a large flexible sensor powered with a flexible battery and driven by a small silicon IC. Or a wireless sensor with a silicon NFC chip. Thinning down the ICs is a delicate process but essential to make them more flexible and less obtrusive. This is an area that MC10, another member of the consortium, knows very well. This company made headlines two years ago when it launched a wearable head injury sensor with Reebok. More recently, MC10 has been promoting the concept of a BioStamp, a sensing device worn as a skin patch. Wearable technology is of course a hot topic these days. 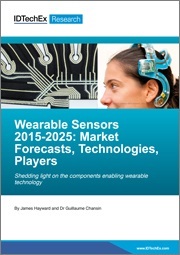 And sensors will be key enablers of wearable devices: IDTechEx Research forecasts there will be 3 billion sensors by 2025 in the report Wearable Sensors 2015-2025: Market Forecasts, Technologies, Players. When the Pentagon officially announced the creation of the FHE MII, most of the media assumed the technology would be used to create wearable devices. They focused their attention on participating companies in consumer electronics, like Apple, Hewlett Packard, and Qualcomm. However, flexible sensors can be useful in many other ways. In an interview for Bloomberg, Malcolm Thompson, Executive Director of the FHE MII, gave the example of an aircraft wing covered with thin, flexible sensors that monitor the integrity of the wing (Boeing is another participating company in the consortium). Isorg's photodetectors can be used to make smart shelves which can literally see whether an item is still in stock. Having a large array of sensors in a thin foil makes integration much easier. With conventional components, it would be necessary to mount each photodetector individually. The company says they have many other projects, most of which are related to industrial applications. 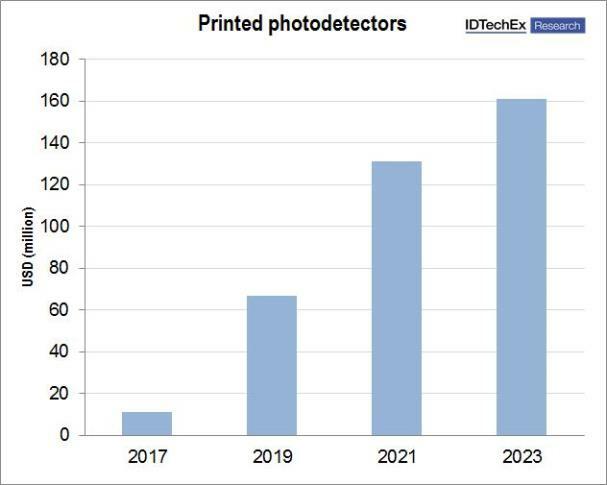 From 2017 onwards, the market for printed photodetectors will grow quickly, topping $160 million by 2023. This is only the beginning: with various other types of devices being developed, we can expect to see much more flexible sensors in the future. For more information printed electronics including sensors in addition to other components such as displays and transistors will be covered at Printed Electronics USA on November 18-19 in Santa Clara, the largest event in the World on the topic, with over 200 speakers and 3000 attendees. See www.PrintedElectronicsUSA.com for more details. 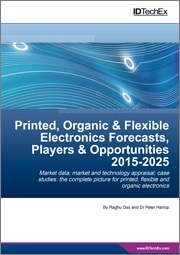 The IDTechEx report on Printed and Flexible Sensors 2015-2025 will help you assess all the flexible and printed sensor options, how they are evolving, their applications, how the different players are positioned, and how each market will grow in the future.